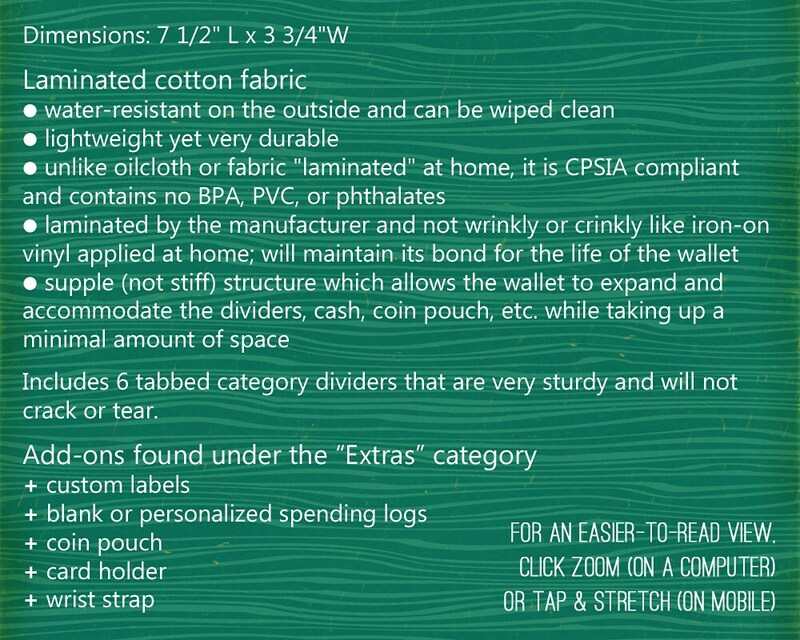 This slim wallet for the cash envelope system is ideal for implementing a Dave Ramsey budget while taking up very little space in your bag. 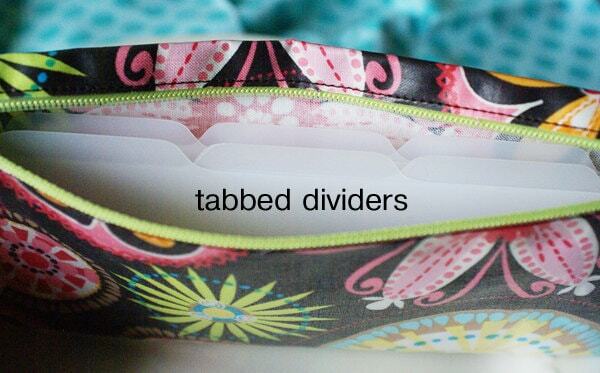 It has 6 tabbed dividers and is available in other patterns in addition to this multicolor one. 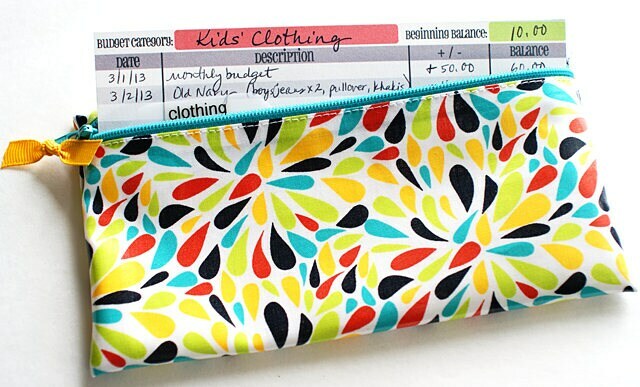 Nice concept for putting money aside. Good to have everything in one place. Nicely executed pouch. So Cute ! 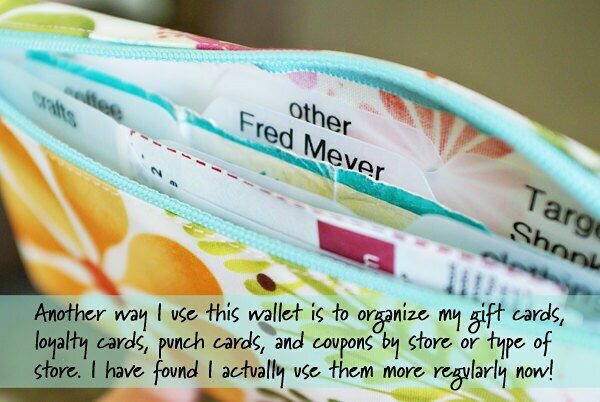 What a great way to organize all my gift cards , coupons or both. Super stylist and is easy to clean as I found out when I spilled a little coffee on it ... UGH. 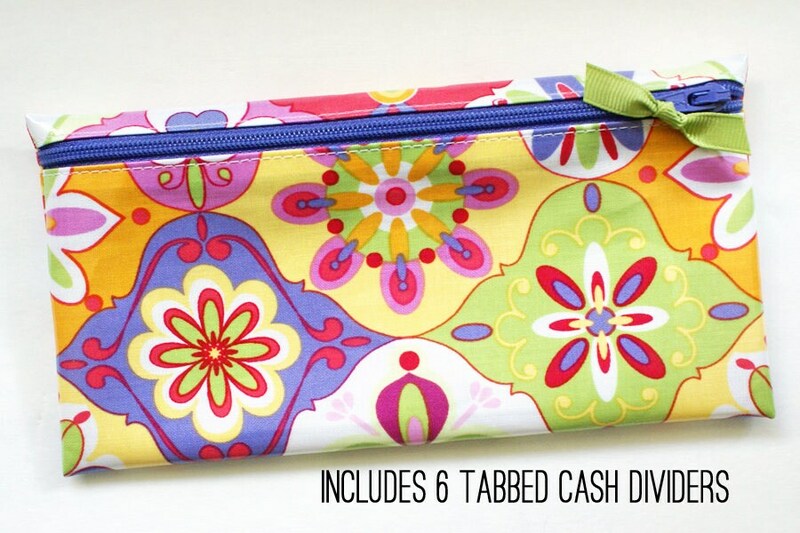 Spring is here, clean out your purse and get organized with this gem !! !